Take dress-up to the next level with vibrant hair extension clips. 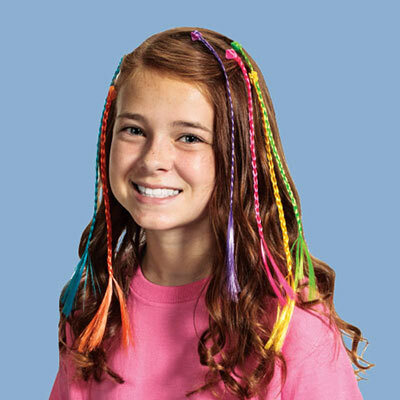 Easy to insert bright heart-shaped Colourful Dazzle Hair Clips feature expertly woven braids. Imported. Ages 4 and up. 12"l. Set of 6.